Painting by James Christensen, originally uploaded by Pink Lady on the Loose!. 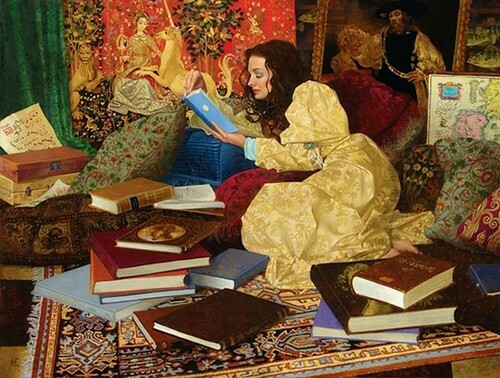 I really love this painting by James Christensen. This similar to how I am at home: I wear something comfortable (usually sweat pants or my PJs) and everything I need is spread around me: my PC, my camera, whatever I'm reading, my knitting project. My husband refers to it as my "docking station".